There's something about Spa. Something intangible. Somehow, no matter what else is going on (and usually it is a lot), when the F1 circus visits the Spa-Francorchamps circuit suddenly all feels right with the sport. From asking drivers, engineers or fans for their favourite track this one in Belgium likely is to form the majority of answers. Why this is has an intangible quality; probably it is not something that can be designed or replicated easily. There is an undoubted well worn, comfortable feeling about the venue. Spa has been grown organically rather than imposed from above. Its heritage no doubt is part of it. The place drips with motorsport's very origins of fearsome road racing. And not for nothing; without exaggeration cars have been racing in the area for as long as road racing has existed. The classic triangular Spa circuit layout, some 15km compared to the current 7km, was first used all the way back in 1921, and the one used in F1 as late as 1970 wasn't much different from it. Furthermore, the first race at the Circuit des Ardennes in the area took place in all the way back in 1902 - on a circuit that was a snip at 86km in length, before being extended to a mere 118km tour for the 1904 race - and is thought to have been the first ever circuit motor race; before that city to city races were the norm. 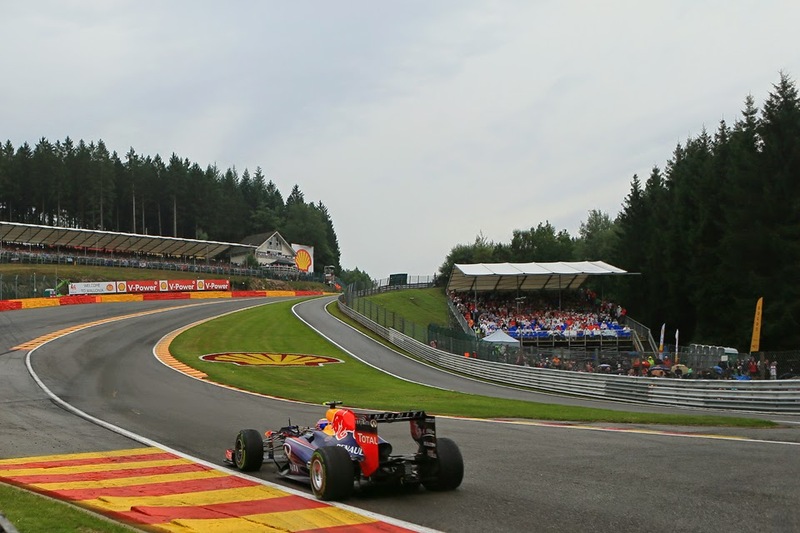 While in the late 1970s the Spa track was shortened from its classic triangular layout into broadly its current form, almost none of the spirit of the old circuit was lost in so doing. It is set in beautiful Ardennes forest, the layout is all dips, rises, long sequences at full throttle and challenging quick turns. And, increasingly rarely in a contemporary F1 venue, when cars are proceeding around the track it feels that they are going somewhere. And in an age wherein F1 has dashed to new, clinical and sometimes tepid autodromes, more-and-more Spa's charms have appeared explicit. It has stood too as a totem of what can be achieved even within the modern myriad of constraints for an F1 venue. It helps also that it pretty much always provides entertaining races. You can add these days that it is where we reconvene after a four-week break, all the anticipation built up. Spa followed by Monza, both with lengthy straights, mean that most teams bring a stripped for speed low downforce spec for these two rounds - even though within the break there is an enforced two-week factory shutdown wherein no development is allowed. This can tweak the competitive order. Nevertheless, and despite the Hungary goings-on, the Mercedes retains a big pace advantage of course and starts the weekend as firm favourite to win out. And straightline speed isn't much of a problem for the silver cars. But this time there may be more reason than usual to think that things could be different. Or at least a bit closer. 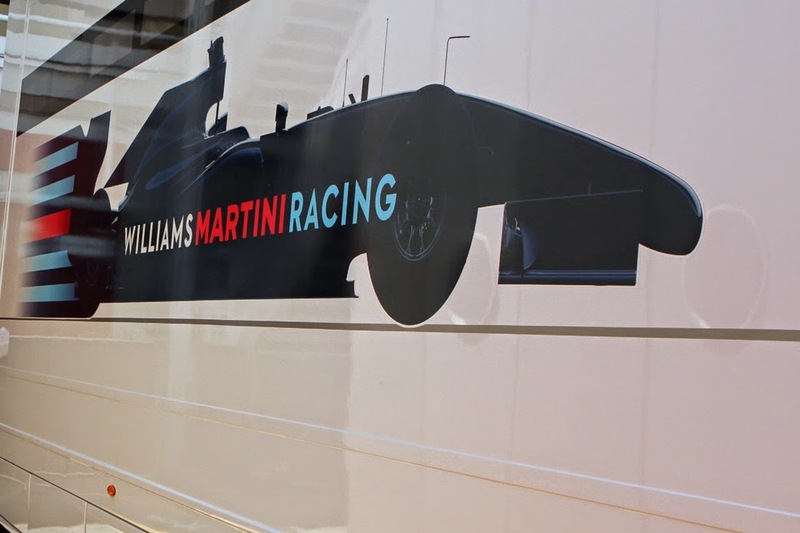 That reason is Williams. The Grove team has - self-admittedly - had this round and the Monza one that follows circled on its calendar for weeks. And with good reason given the extended blasts at full throttle (at Spa roughly 70% of the lap) and that the FW36 has topped the speed traps habitually in recent times. Valtteri Bottas like his team is at the top of his game right now and you'd be surprised if brave high-speed racing around Spa does anything other than suit him down to the ground. If it's enough to get ahead of the Mercs remains to be seen but it is one to watch closely. As for the intra-Merc scrap as ever it is near-impossible to predict. 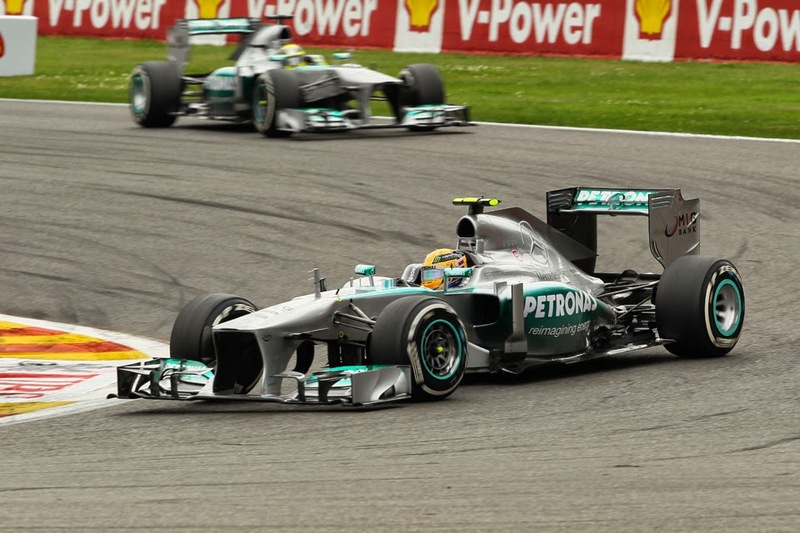 Lewis Hamilton has won in Spa once before (and was first across the line another time only to have it taken away post hoc). Nico Rosberg's fourth place here last year meanwhile is his best result at this circuit, but in that effort he did run Lewis close. 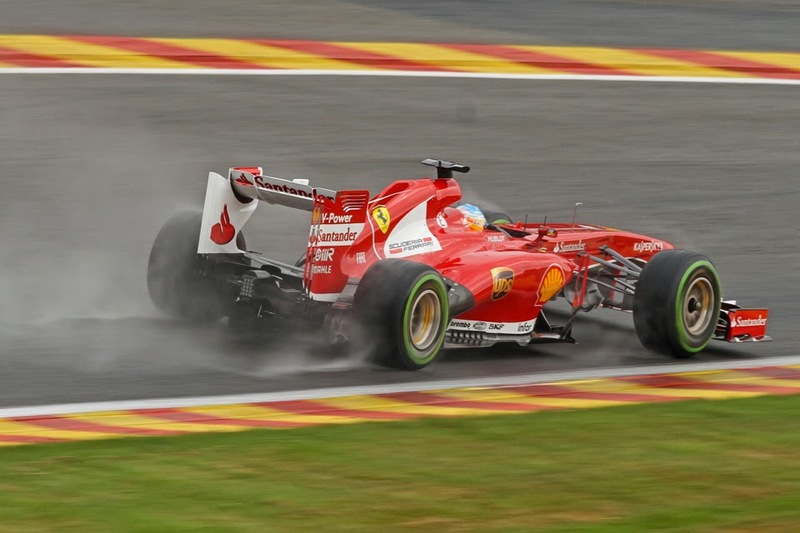 Another habitual factor at Spa - and one that adds to its status as a weekend to be anticipated - is the rain. The track is set within a notorious micro-climate, which means rain arrives frequently and usually without much warning, as well as that weather forecasts are of little consequence. The expanse of the circuit too often results in it being bone dry in one part and wet in another. We witnessed a variation of the theme in last year's qualifying session, with rain's arrival in Q1 and then again Q3 and then the track's fairly rapid drying both times all providing twists of their own. While Nico Rosberg looked to have just as much of the legs of the rest in the wet in the early part of the Hungary race it was a little like the Merc strategy went to pieces after an inconvenient safety car (though it didn't really work out for Williams either). This weekend of all weekends the team will need to make sure its ability to think on its feet is brushed up. But whatever is the case this track's characteristics probably means it'll be to the aid of the Merc-powered runners, which will likely contribute to Ferrari and Red Bull experiencing more of a struggle than usual. Ferrari is an interesting case. Usually, for political reasons, it puts more resource than most into its low downforce spec so to aid a good result at home at Monza, and that as intimated has an overhang for the rapid Spa track also. But given the considerations already outlined its effect this season may be rather negated. Kimi Raikkonen will be interesting to observe however. Of course his 2014 woes are much-ruminated-over, but Hungary at least was one of his better runs of the year (albeit solid rather than spectacular). But time was that Spa was considered Kimi's home turf, given he has four wins to his name here forming just part of a series of strong performances. Though on the flipside if he doesn't do himself justice this time it'll be tempting to ask if he can anywhere. Fernando Alonso meanwhile has never won at Spa but can be counted upon to as usual make the best of the Ferrari botch job. Another of Spa's many notorious variables is on set-up, wherein a compromise has to be found between the lengthy flat out sections and the more twisty middle sector which features turns such as Pouhon and Stavelot. Indeed it all came into sharp focus in the 2012 meeting, as some of the famous Spa rain reduced dry running in practice to a handful of laps, and Jenson Button by luck or judgement landed upon an ideal set up which prioritised straightline speed (and led to his then stable mate - who'd gone down the other path - committing a Twitter faux pas in frustrated response). And it contributed to a surprise, and surprisingly dominant, pole and win for Button, as well as to a jumbled-up grid with Saubers and Pastor Maldonado's Williams high up, Lewis Hamilton just seventh and Sebastian Vettel down in tenth. But another good thing about Spa is that a poor qualifying slot isn't necessarily the end of your hopes. Even before DRS and gumball Pirellis race-day progress at this place was much more of a probability than at most other tracks. DRS of course makes such progress more presentable still. To wit - the pole sitter has only won this Grand Prix four times in the last 13 years. 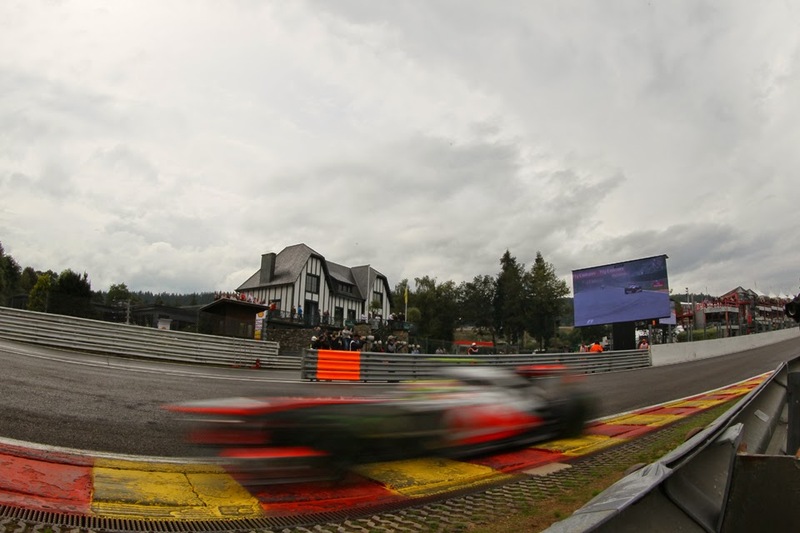 Will the 2014 cars return Eau Rouge to its former glory? And while the previous towering endeavours of Eau Rouge and Blanchimont had latterly become little other than full throttle zones - due to a few reasons, the scarcely-credible downforce of the F1 car being not least of them - what with the new regs and the severely reduced grip of the 2014 car will these turns be restored to their former magisterial driver challenge? If so it might be considered ironic, given the agonising in certain quarters over whether the new spec for this year was ripping the sport away from its dearest and longest-held principles. For more reasons even than usual, there seem a lot of reasons to keep a close eye on proceedings in Spa this weekend.